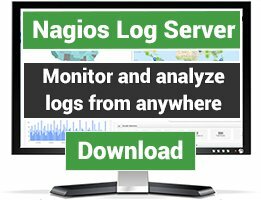 Nagios XI is Nagios Enterprises' official professional version of Nagios that is designed to make problematic IT monitoring tasks simple, while retaining the powerful attributes of its enterprise-class foundation blocks. Designed for scalability and flexibility, XI is designed to make problematic IT monitoring tasks simple, while retaining the powerful attributes of its enterprise-class foundation blocks. * Comprehensive IT Infrastructure Monitoring: Provides monitoring of all mission-critical infrastructure components – including applications, services, operating systems, network protocols, systems metrics, and network infrastructure. Hundreds of third-party addons provide for monitoring of virtually all in-house applications, services, and systems. * Visibility: Provides a central view of your entire IT operations network and business processes. Powerful dashboards provide at-a-glance access to powerful monitoring information and third-party data. Views provide users with quick access to the information they find most useful. * Awareness: Alerts are sent to IT staff, business stakeholders, and end users via email or mobile text messages, providing them with outage details so they can start resolving issues immediately. * Proactive Planning: Automated, integrated trending and capacity planning graphs allow organizations to plan for infrastructure upgrades before outdated systems catch them by surprise. * Customizability: A powerful GUI provides for customization of layout, design, and preferences on a per-user basis, giving your customers and team members the flexibility they want. * Ease of Use: Integrated web-based configuration interface lets admins hand out control of managing monitoring configuration, system settings, and more to end users and team members easily. Configuration wizards guide users through the process of monitoring new devices, services, and applications – all without having to understand complex monitoring concepts. * Multi-Tenant Capabilities: Multi-user access to web interface allows stakeholders to view relevant infrastructure status. User-specific views ensures clients only see the infrastructure components they're authorized for. Advanced user management simplifies administration by allowing you to mange user accounts easily. Provision new user accounts with a few clicks and users automatically receive an email with their login credentials. * Extendable Architecture: Multiple APIs provide for simple integration with in-house and third-party applications. Hundreds of community-developed addons extend monitoring and native alerting functionality. 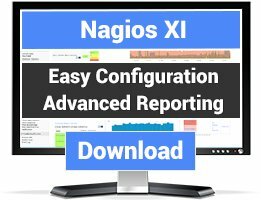 Custom interface and addon development is available to tailor Nagios XI to meet your organization's exact needs. I've been working five years with SCOM 2007 R2 and last year we had to choose between upgrading to SCOM 2012 or choosing an alternative solution. After some extensive research, we made the decision to choose Nagios XI as a replacement. As the price for Nagios XI is about 1/30 of the price for SCOM 2012 (SC suite) over a period of three years, I did not know what to expect. 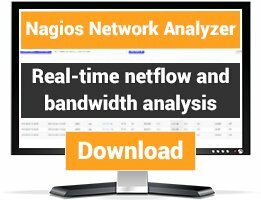 Today I will be migrating the last 4 servers from SCOM to Nagios XI and I must say I'm very happy to have choosen Nagios XI. The Nagios XI support team helped me through the setup of our Nagios XI server, plugins and components and answered all my probably very noobish questions. Besides the support they gave, they also listened to my complaints and with the help of a feature request system, they have been adding features that did not even existed a year ago.. Therefore I'd like to give them this excellent review!